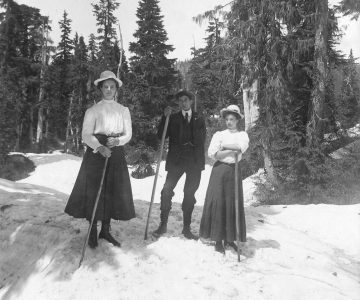 [Two women and a man holding walking sticks on snow]. CC-PH-04319. UBC has issued a weather advisory for Monday, December 19, and cancelled all non-essential services, including Library services. The Rare Books and Special Collections reading room will be closed on Monday, December 19, but we expect to return to normal operations on Tuesday, December 20. Apologies for any inconvenience!